On the 26th January Right To Ride will be attending the ACEM Conference in Brussels. 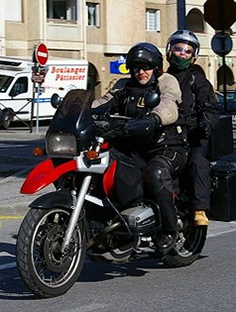 ACEM says, “The European Commission recently published its proposal for a Regulation “on the approval and market surveillance of two- or three-wheel vehicles and quadricycles” covering a wide range of vehicles such as powered cycles, mopeds, motorcycles, tricycles, on-road quads and mini-cars. As the EC proposal is currently being considered in the European Parliament and in the Council, the 7th ACEM Conference offers the opportunity to bring together policymakers, industry and other stakeholders and exchange views on this crucial proposal for the motorcycle sector. Indeed, COM(2010)542 proposes a series of provisions in the fields of vehicle categorisation, simplification of the current legal framework, market surveillance, as well as new environment and safety requirements, to be introduced over the coming years. The regulation will have an impact on design, R&D, production planning and administrative processes. It must take into account the reality of the European motorcycle sector and cannot be seen in isolation from market conditions, at the risk of derailing the path to recovery from the crisis, still affecting the sector. The roadmap to 2020 requires concerted action between industry and policymakers. ACEM believes that important aspects need to be improved if a swift transition to the new framework is to be successfully attained. 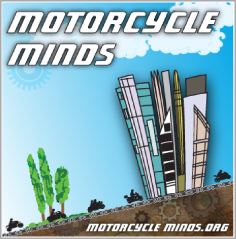 The ACEM Annual Conference provides the opportunity to have an overview of the motorcycle sector, and engage policymakers, stakeholders and company managers in productive discussions – so that current challenges may be turned into opportunities. ACEM, the Motorcycle Industry in Europe, is the professional body representing the interests and combined skills of 12 powered two wheelers (PTWs) manufacturers producing a total of 26 motorcycle and moped brands, and 15 national associations out of 13 European countries, guaranteeing jobs to over 150.000 people. The aggregated turnover of the PTW sector (manufacturing, plus upstream and downstream activities) amounted to Euro 34 billion in 2006. Manufacturers alone account for Euro 7 billion. The members of ACEM are responsible for 90% of the production and up to 80% of the European powered two-wheeler (PTW) market.